When he claimed to have psychic powers, the public scoffed. But since it emerged Uri Geller was indeed tested for his telepathic abilities by the CIA in the Seventies, he has gone on to claim links with British spooks. 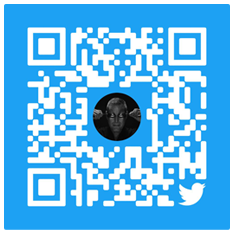 According to Geller, an Israeli illusionist who first rose to fame with his spoon bending act, MI5 used The David Dimbleby Talk-In show as a cover for him to travel to the UK and test his powers out for themselves. In an interview with the Daily Telegraph, Geller added that he even told Theresa May in 2013 that she was destined to become Prime Minister, during a meeting where ‘I touched the Churchill spoon and told her’. This year, documents declassified by the US showed that Geller was assessed by the CIA over a period of eight days in 1973 at the Stanford Research Institute, California. 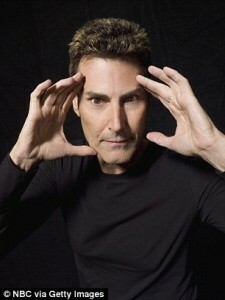 At the time, Geller’s handlers concluded that his abilities were ‘convincing and unambiguous’, after conducting a series of experiments to demonstrate his powers of perception. Geller said: ‘Part of me is certainly glad that the world knows the truth about that secret part of my life. The declassified documents released by the CIA in January are only the tip of the iceberg, really. The experiments carried out by the CIA on Geller were part of the Stargate Programme, an initiative which sought to establish whether it was possible to engage in ‘remote viewing’, a means to recall information at a different location. A 2009 film, The Men Who Stare At Goats, was based on the research carried out by the scientists. And while he may be used to a healthy amount of scepticism from the public, Geller issued a legal warning to his detractors. During his assessment by the CIA, where some of tests involved guessing an image drawn on a page at a separate location, Geller claimed that one particularly macabre incident his handlers expected him to stop the heart of a pig. He added to the Telegraph: ‘I was led into a room in which there was a pig and I was told, “We want to see the pig dead when we come back”. ‘I realised they wanted me to stop the heart of the pig, which is similar to a human heart, and it scared the hell out of me. Rather than end their programme with Geller though, he claimed that spooks had now progressed their experimentation to include black holes. ‘There’s a major network of scientists and secret intelligence agencies who are trying to get 10 people like me to concentrate on one city and blow it into a black hole, making it disappear,’ he said.